1) It needs to be challenging, but not fiendishly so (about 7 out of 10 for difficulty would be perfect). 2) It needs to have a unique solution. 3) All the clue numbers need to either be connected to the edge of the puzzle, or need to be connected either horizontally or vertically to a number connected to the edge of the puzzle. That third criteria is pretty hard to explain so here's a couple of examples which might help. This grid fits the 3rd criterion because, moving horizontally or vertically, you can trace a direct line from any number to the edge of the grid. This grid, on the other hand, breaks the 3rd rule in several places. None of the squares in the second box on the top row connect directly to the border. The 4, the 9, and the 3 in the left box on the middle row don't work. In the centre square, the numbers 9, 5, 2, 3, and 8 don't work but the 6 and the 4 do, because the 6 and the 4 can be linked to the edge of the puzzle in a straight line by the 5, 3, and 2 in the box underneath. I hope this makes the 3rd rule a bit clearer. The trouble I'm having is I'm finding it really hard to create a grid which fits rule 3 AND has a unique solution. I've been working on it for a couple of days now and I'm starting to think it's not possible. 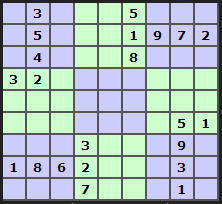 Would any of the sudoku experts here know if such a puzzle is possible? If it is, is there a formula for making them that's more effective than trial and error? Not necessarily a definitive answer (in fact there's almost certainly a better way) and certainly ignores your final question ("is there a formula for making them? 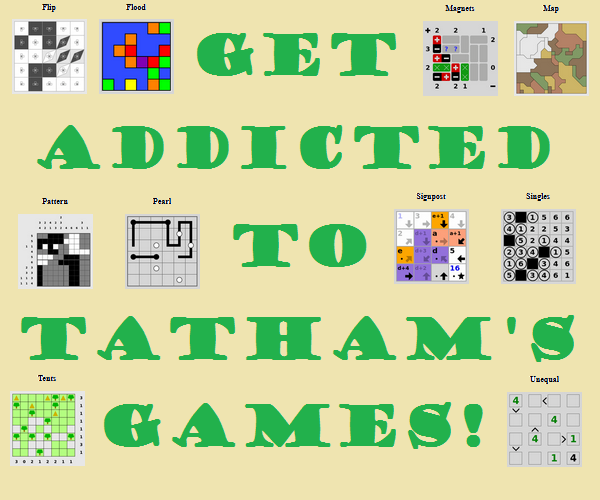 "), but I've made a few rule-restricted sudoku-esque puzzles and can at least offer a view on how I approached them. With luck, someone more expert on grid construction will chime in, but if not, hopefully the above is of some help at least. 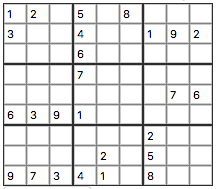 I am by no means a sudoku expert, but I think your puzzle idea should work. 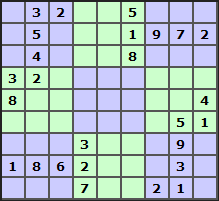 First, there has to be a grid which fits rule 3 and has a unique solution, because a completely solved grid (with all 81 numbers filled in) has a unique solution (it's already there!) and fits rule 3. Now, I can't guarantee that the resulting puzzle will rate about a 7/10 for difficulty. 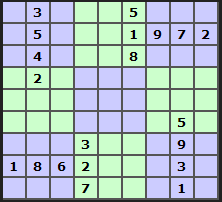 A solved grid is, of course, really easy, and just removing numbers at random (while following rule 3) will probably leave a pretty easy puzzle. 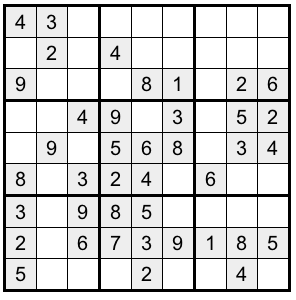 However, at the very least you can find out what the difficulty is, because some sudoku solvers also give you the (approximate) difficulty of a sudoku! (There's a "Grader" button on the Sudoku wiki one.) Maybe there will be a point in your digit deletion at which the solution stays unique, but the difficulty spikes from "doable" to "ridiculous." Stay with the doable version, and you'll have a good puzzle. 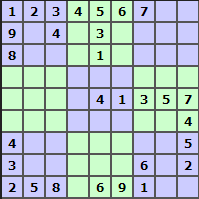 You could also try the opposite approach -- start from a blank grid, and add given digits in accordance with Rule 3 until you get a uniquely solvable puzzle. This method would probably get you a higher-difficulty puzzle, but it might be harder for you to generate that puzzle. deleted numbers until the "grader" said my difficulty was "Moderate" instead of "Gentle"
Now, that puzzle isn't much to look at, but it is a uniquely solvable sudoku! I'm sure if you take some time with it, you'll find something you're happy with. Not the answer you're looking for? Browse other questions tagged logical-deduction puzzle-creation sudoku or ask your own question.